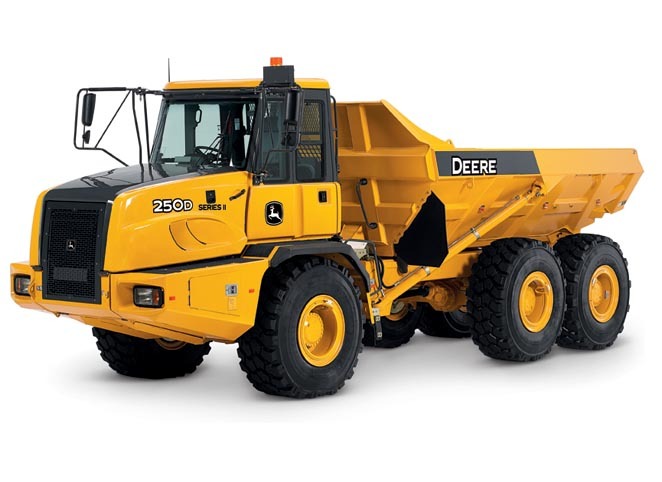 Example Text This Item Is Not For Sales: If you're looking to deliver big numbers to your bottom line, put our D-Series II Articulated Dump Trucks on your jobsite. These ADTs haul heaped payloads over adverse terrain with unsurpassed agility. They're highly reliable, too, with high-strength, welded alloy-steel chassis and dump-body components that are durable, yet lightweight. 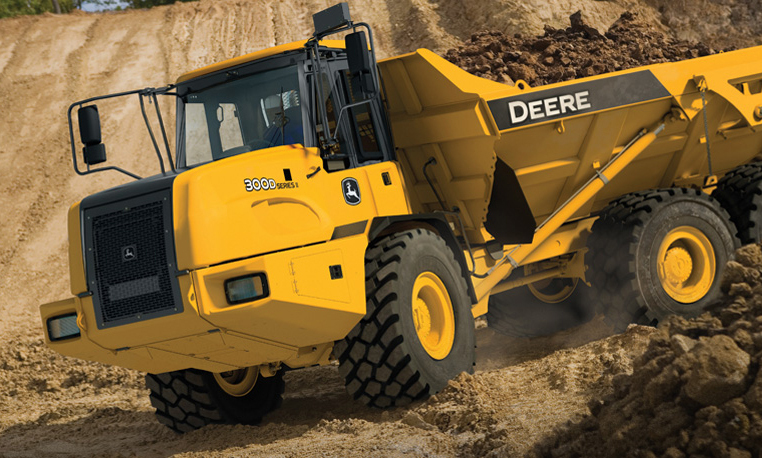 The quiet cab is loaded with productivity- and uptime-enhancing features such as auto shutdown, pushbutton transmission and dump-body controls, onboard weighing, and tire-pressure monitoring, to list just a few. With the 250D-II and 300D-II ADTs, you get everything you need to keep materials and profits flowing.